Baking banana muffins is a weekly occurrence in our house. 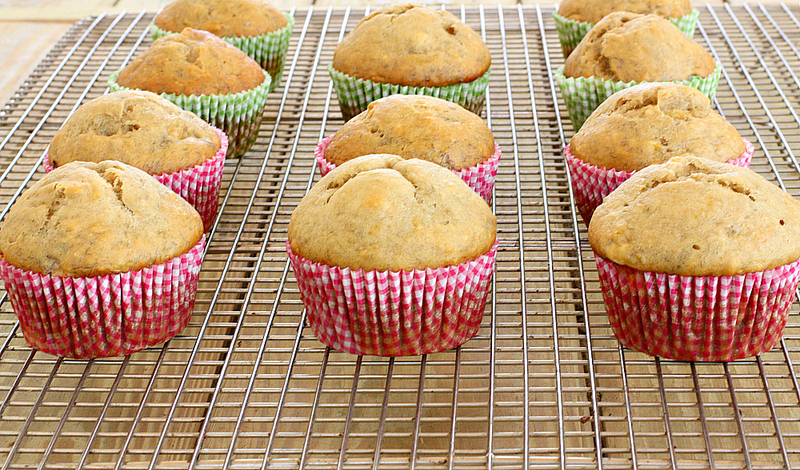 We love bananas and always have a few leftover that are perfect for banana bread or muffins. They make for great on-the-go breakfasts or snacks! Did I mention these muffins are vegan? They are healthy, delicious, and vegan. No need to shy away from these because they’re vegan. I make just about all my muffins and quick breads vegan. I love butter, but there’s something about baking with vegetable oil that makes them so moist. Preheat oven to 325 degree. In a large bowl combine the flour, sugar, baking soda, and salt. Whisk together to combine. Set aside. In a smaller bowl, combine your apple sauce, canola oil, vanilla, and mashed bananas. Stir until all ingredients are combined. Add your wet ingredients to your dry ingredients. Stir until all ingredients are mixed through. Line muffin tin with wrappers. 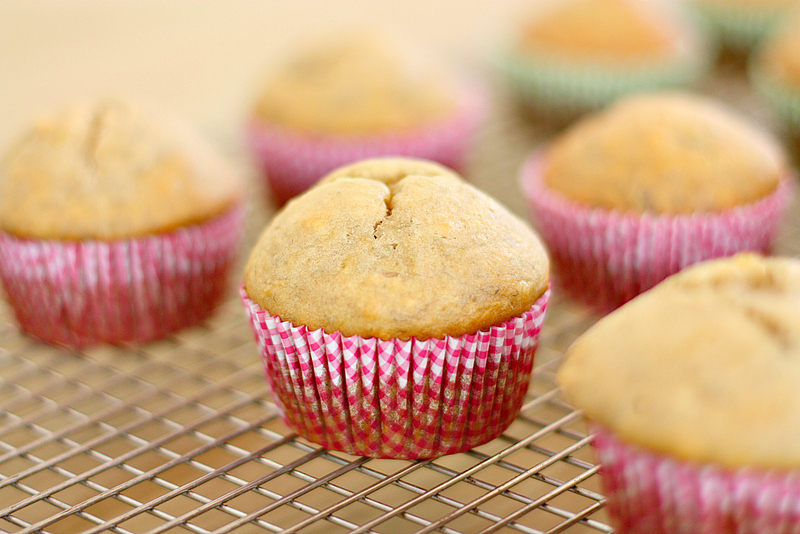 For accurate measurement, use an ice cream scooper to distribute the batter evenly into muffin cups. Bake muffins for 13 minutes than rotate in oven and bake another 13 minutes. Cool completely on cooling rack. ENJOY!!!! TIP: If you have over ripe bananas lying around and don’t feel like baking banana bread or muffins just yet, peel the bananas and throw them in a Ziploc freezer safe bag. When you’re ready to bake, pull the bananas out and defrost.